Helping out people in need with the smallest tasks can make a real difference to their lives. Reaching out to indigent students who have the potential to be productive citizens will also help their families out of poverty. Even if we feel we don't have the large resources to build schools and institutions that these kids need, we can actually be all HEROES, and be a powerful agent of change with just 10 pesos. Education should be a right of every Filipino child and should not be denied just because their families lack funds and the government cannot yet effectively find a permanent solution to this problem. We do not need to wait for other countries or our government to help our youth. We can all do ourselves and all it takes is just P10 from each of us a year to send a student to quality schools.. Remember, if only 2% of the Filipino people will donate, we will already have succeeded for this year and can look forward to sending more and more kids to school every year! 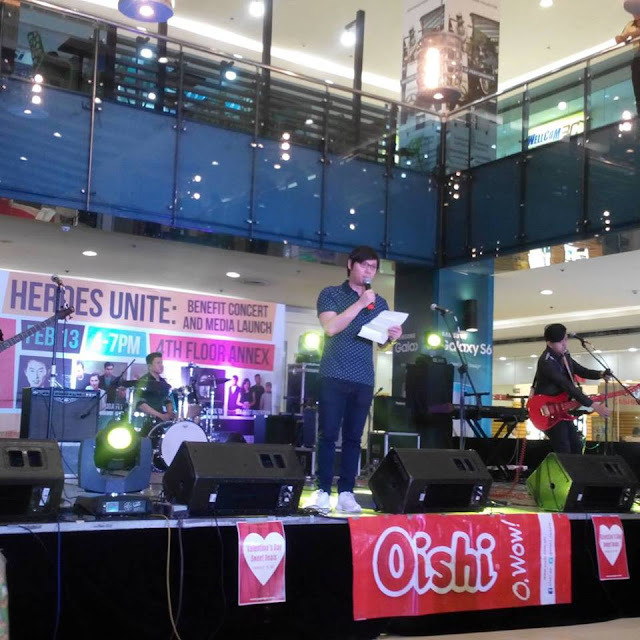 This project is called the HEROES PROJECT, spearheaded by musician Mike Chan, along with his OPM friends brought together an advocacy that brings their passion and the mission to provide education to deserving students. 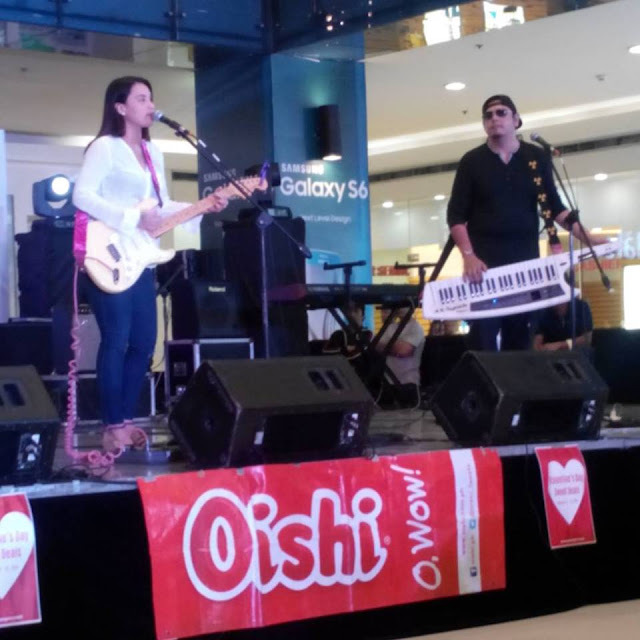 They started initially with 20 scholarships, then 40 in 2015. This current school year, with everybody's help, they hope to send 80 kids to school, 160 scholars in 2017 so on. 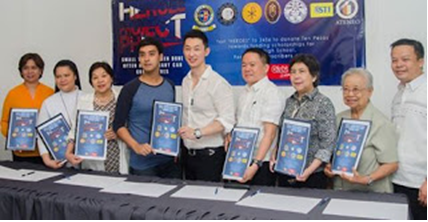 When Heroes Project has enough Filipinos donating 10 pesos yearly, the charity group will be able to send to school every Filipino that wants an education. 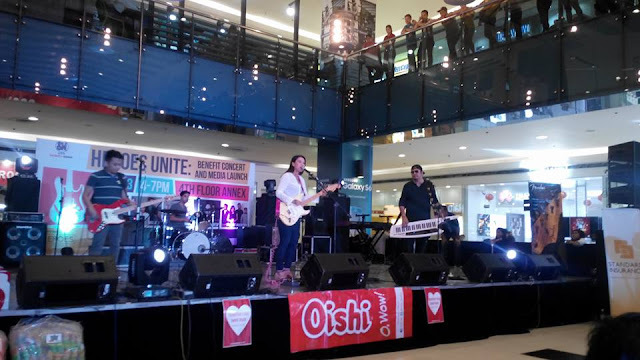 Heroes Project has been conducting free concerts in various locations to raise the awareness. 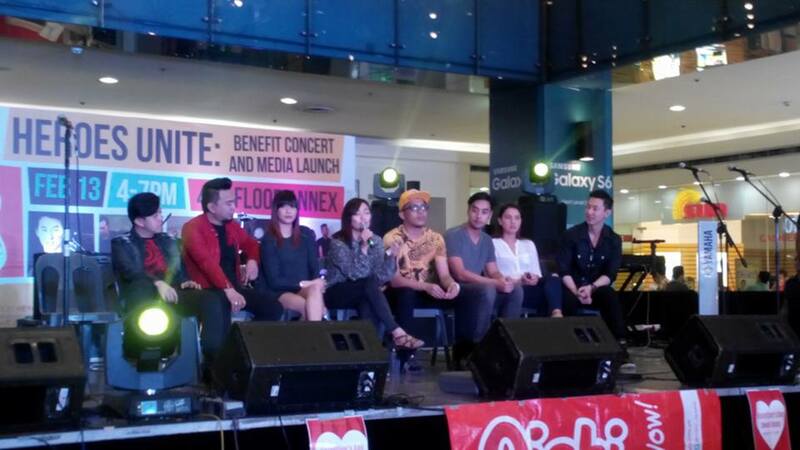 The cause brings the best OPM artists to the stage to show support for Heroes Project. Bands like Hale, Mayonaise, Mojofly, Paraluman, MYMP, Mike Chan and the Anthems are some of the growing list of artists performing for Heroes Project. You can be part of this movement and pave a positive change for our society. With a growing number of people inclined to help others without asking anything in return, we empower each individual around us to make a difference for society. 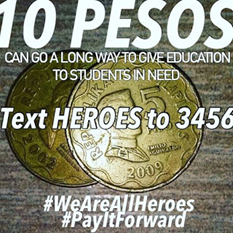 Donate now, share your experience, and join in the conversation with the hashtags #WeAreAllHeroes and #PayItForward. Don't forget to like their facebook page for more information about the project and share it to more people. We indeed can all be heroes! this is a very interesting project! I just hope our politicians or those running for higher position have the same mindset towards youth and education. I have a scholar in world vision which cost me P600 per month. This is a good initiative since only P10 could mean a lot. This would really encourage community support. What a commendable HEROES PROJECT in providing education to deserving students. I would further point out that the kind of education should these deserving students could receive is the quality one. More power to the group of its project. a great initiative! Where can we send our donations? I always wanted to help but I did not know how. Thank you for sharing and reminding me that together we can do more. This is the first time I've heard of the Heroes project. Kudos to Mike Chan and co for starting this advocacy. For those who're looking into similar projects, World Vision also allows you to sponsor a school child for P600 a month. Same with Gawad Kalinga.